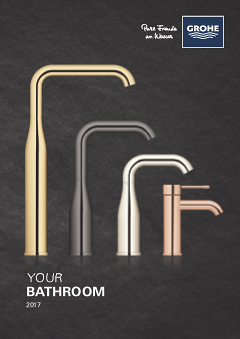 Looking for the most stylish and versatile basin mixer taps to complete your bathroom scheme? This cool and contemporary GROHE Eurostyle basin mixer tap is a single-lever tap that’s easy and instinctive to use, making it perfect for family bathrooms and standard wash basins, plus it has EcoJoy in-built water-saving technology. Inside the separate inner water ways mean your water is guaranteed lead and nickel-free – just one of the German-engineered features from GROHE that promise maximum durability and outstanding performance. As part of the popular Eurostyle range, this basin mixer beautifully complements the other products in the collection for a complete bathroom solution. Designed for easy installation with a single tap hole, this mixer is the perfect finishing touch!